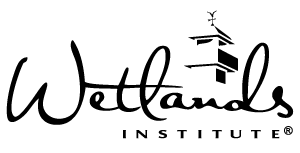 The Wetlands Institute seeks a dynamic graphic design, digital marketing and communication professional who will provide a broad range of communications and marketing support to The Wetlands Institute. Responsibilities include digital marketing and communication, website design and maintenance, social media communications and advertising, as well as graphic design for in-house and printed materials and donor communications. The position reports to the Executive Director and works closely with the development team and education and research and conservation team leads. Manage the Institute website and online communications including development of social media communications and content. Create and update collateral, brochures, web content, newsletters, signage, ads, annual report, and development materials. Create marketing materials to be used across various media platforms, developing creative concepts for consideration. Develop and execute online strategies that include search engine optimization, keyword search, search engine marketing and social media. Explore, recommend, use and optimize communication methods, vehicles and technologies to engage with various audiences to advance the mission of the Institute. Participate in exhibit design and development. 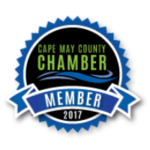 Receives and performs all other marketing and communication, or special assignments, as directed by the Executive Director. Portfolio that demonstrates creative abilities. Ability to assist in planning, development and implementation of projects. Skills and software knowledge including Adobe Creative Cloud and Word Press required. Google AdWords, search engine marketing and optimization, and social media management preferred. Demonstrated experience in marketing and communication content and graphic design. Social media and web content creation and generation experience. A bachelor’s degree (required) with 3 years (preferred) web design and graphic design experience. Salary commensurate with experience. We provide a competitive employment package, which includes medical, dental, and vision benefits, matching contributions to a 403b retirement plan, and a generous paid vacation and PTO policy. Application deadline: April 15, 2019 until filled. To apply, email a cover letter and resume to Bonnie Girard, The Wetlands Institute, 1075 Stone Harbor Blvd. Stone Harbor, NJ, 08247 (bgirard@wetlandsinstitute.org).